Nearly every state has banned use of “personal electronic devices” while driving, however most, like Washington State, have excluded two-way radios from their definition of a “personal electronic device.” With the disappearance of Nextel from the marketplace, there really isn’t much of a grey area anymore. Using cell phones while driving (even a PTT app) is illegal, while using your 2-Way Radio (even it broadcasts over a national cellular network) is legal. Multiple manufacturers have begun making radios that operate on a nation-wide cellular carrier’s network. There is also the option of integrating this solution with a traditional 2-Way Radio network. There are currently three models to satisfy a wide area coverage requirement. Build your own: This involves getting difficult to source FCC licenses, renting space on towers or roofs, and continual maintenance. Generally unattractive for all but the largest agencies. Rent space on a regional private network. 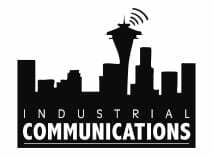 Industrial Communications can broker this relationship with a provider whose network covers much of Washington and Oregon. Track your mobile devices via GPS tracking software to intelligently dispatch them to the closest job and be able to know where your assets are at all times. Less latency delay than normal cellular PTT and Nation Wide private and group calling for $20 per month, unlimited. 9) Audio Playback, GEO Fencing, Emergency Button and Loan Worker Alerting Safety Features! You can never be too safe, or alone. All the tools to keep everyone close by even in the field no matter what job their preforming. Your only a P-T-T away 300ms or less to connect and know each individual is doing their job safely! The TRBO West wide area system was constructed in 2012 as a solution to the Nextel System being deconstructed. 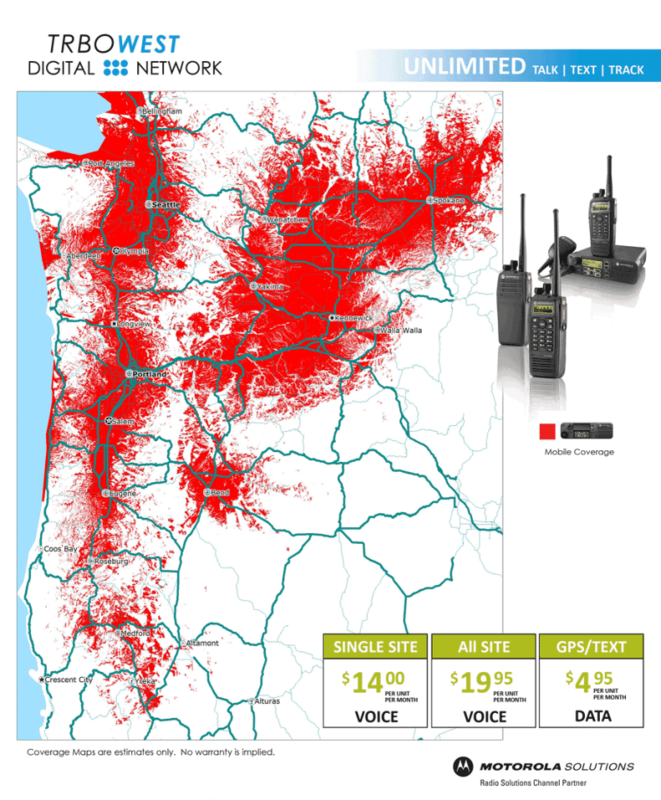 This system links over 20 mountain top repeaters together through IP, allowing users to talk on the radio from North of Bellingham to Ashland; Spokane, Bend and The Wenatchee and Yakima Valleys for only $19.95 per month unlimited dispatch. For an additional $4.95 users with capable radios can also use internet based GPS Tracking, Work Order Management and Texting! If you need more convincing, here’s a side-by-side comparison of the difference between MOTOTRBO and regular cellular plans. See for yourself what will change when you make the switch.